This Crock Pot Spinach Dip is really delicious, but then you add the secret weapon… BACON, and Bam!! Creamy, rich and savory. This Crock Pot Spinach Dip is going to give that old school spinach dip a kick in the pants. And I blame the bacon! 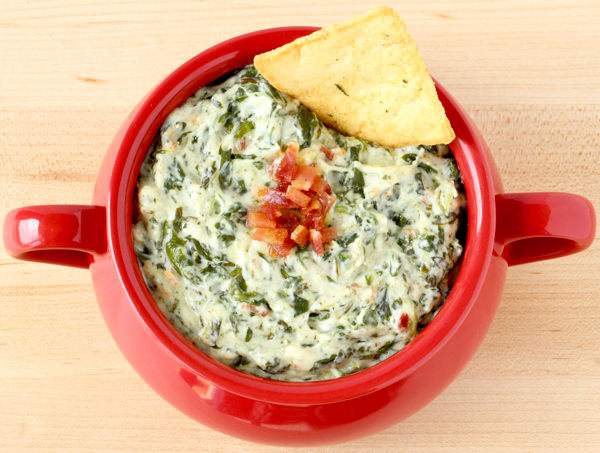 Grab the spinach, and indulge your taste buds with this delicious Crock Pot Dip! It’s the perfect addition to your Holiday parties and a must-have on Game Day! You’ve just found yourself a Slow Cooker Spinach Dip that breaks every rule. It’s so good you could actually get ticketed!! Score yourself free ingredients with my easy tips for how to get Free Grocery Gift Cards and a Free Visa Gift Card. 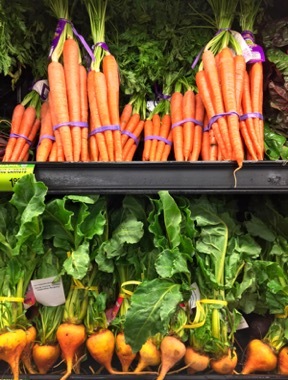 Grocery shopping for free is totally frugal!! 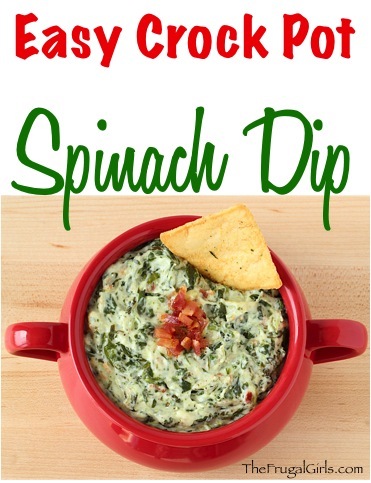 This Crock Pot Spinach Dip is really delicious, but then you add the secret weapon... BACON, and Bam!! 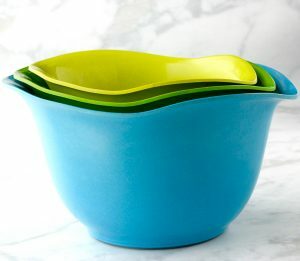 Serve with Pita Chips or a fresh sliced baguette, and ENJOY!! 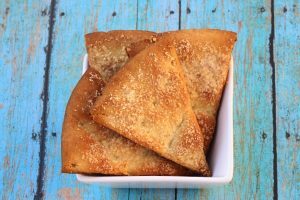 Have you tried these Garlic Parmesan Pita Chips yet?? 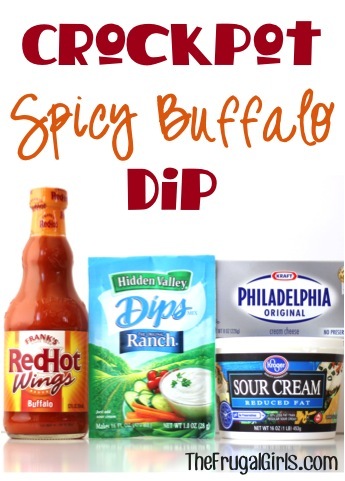 They’re crazy good and delicious with this dip! 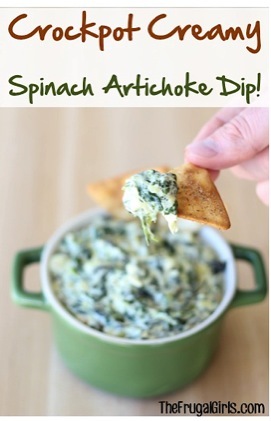 The Spinach Artichoke combo make this ultra-rich dip amazing! This spinach artichoke dip is the perfect way to get your Thanksgiving or Christmas parties started! Get ready for some cheesy broccoli happiness when you make this delicious 5 ingredient Crockpot Broccoli Cheese Dip! 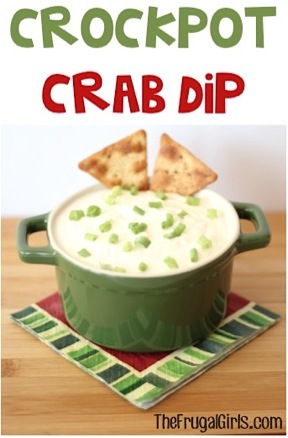 Decadent Dip anyone?? 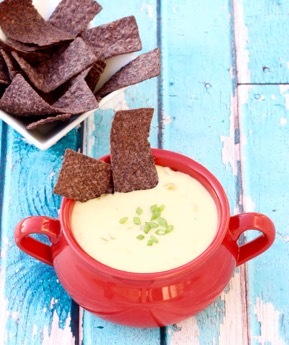 This rich and creamy dip will please the whole crowd! 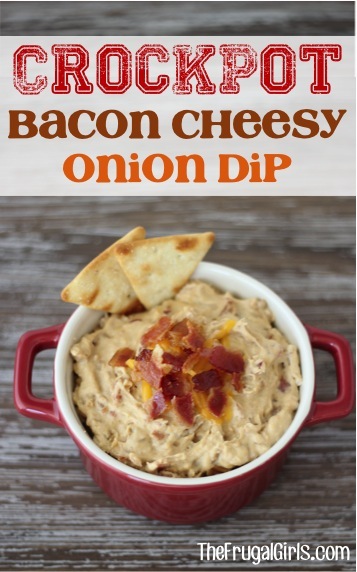 This Crockpot Bacon Cheesy Onion Dip Recipe delivers off-the-charts flavor! I blame the bacon… in a good way! Flavor just came to the party, and it is oh so delicious! 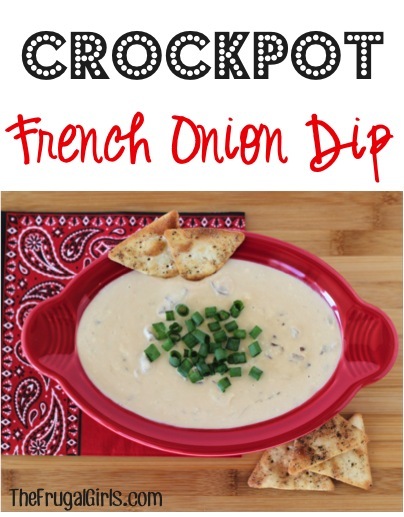 Keep your party dip simple and delicious with this Crockpot French Onion Dip recipe! 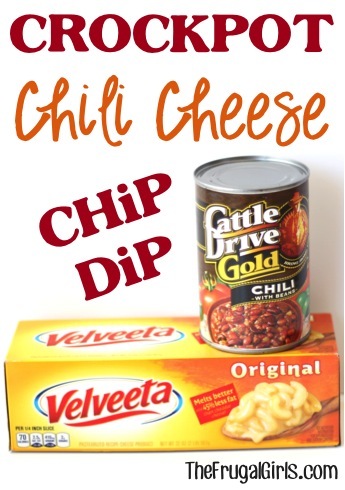 This dip is delicious, I just leave out the sour cream and add bacon for more flavor. Delicious!!! Any reason why I could not make this in the oven? 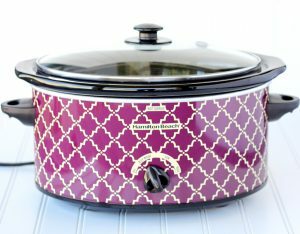 (crock pot bit the dust)! Should the spinach be frozen or defrosted before cooking?? I cannot eat pepper jack cheese any other cheese substitution? You could try substituting the Pepper Jack with Mozzarella. If you do, let me know what you think! 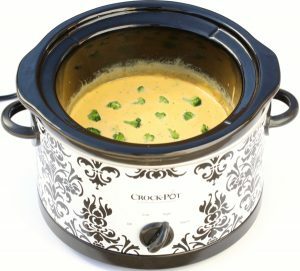 How big of a crock pot is the spinach dip for ingredients listed? Hi Janet… a 4 quart – 5 quart works well for this recipe. Hope that helps! Hi Kathleen ~ I’ve never tried with fresh spinach, but if you do… let me know how it turns out! Hi Ashley ~ this serves approx. 20 people. ENJOY! I baked a chicken breast and then smothered it in the spinach dip. It was divine. Yay ~ so glad you liked them, Tricia! Aren’t they simple and SO delicious?? Just made this, but sadly without the bacon and it was still very delicious! Thanks for this easy recipe!